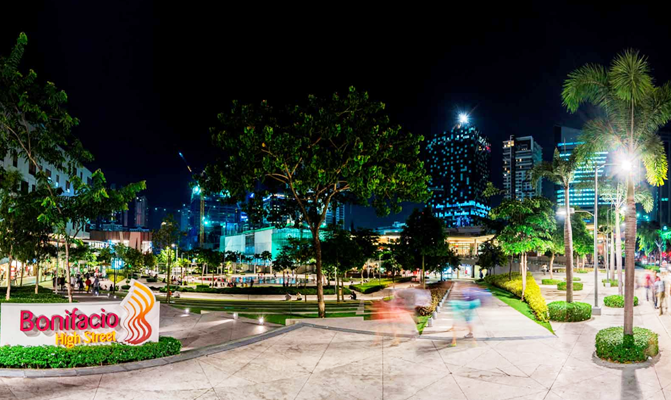 Fort Bonifacio Global City (BGC) is the fastest growing business disrict in the Philippines with new residential and commercial buildings rising all over this 26 square kilometer area in Taguig, Metro-Manila yearly. Located between the city's two main business districts of Makati and Ortigas, this area is the perfect location for anyone interested in renting office space, purchasing residential real estate or residential units for rent. Whether you wish to purchase or rent a condo, apartment, town home or house in Fort Bonifacio, our real estate brokers will find the ideal property for you. We can also assist you with your search for office space and PEZA accredited buildings in Fort Bonifacio. Our locations are perfect for any company starting out in the Philippines; especially call centers, and IT- BPO companies looking for buildings with large floor plates. Our brokers will assist and tour you to properties that fit your criteria.